FUEL NKU's current location in University Center 142. The food pantry is slated to move to a larger space in Albright Health Center. 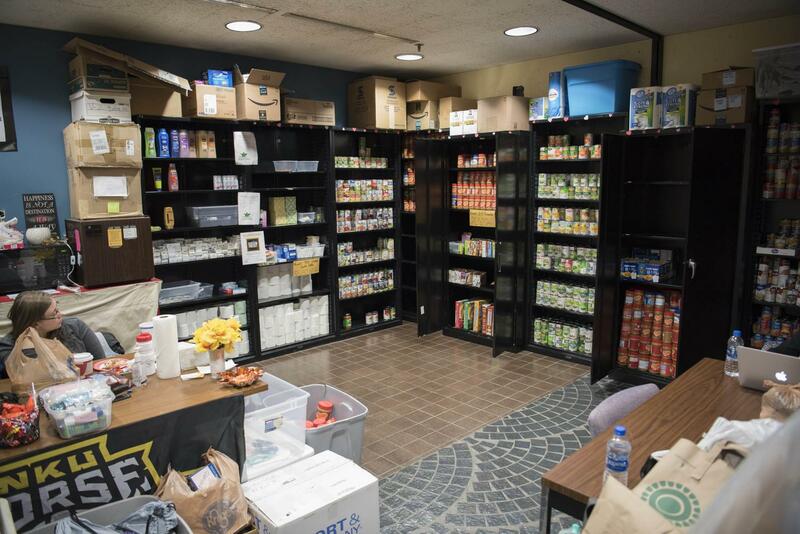 FUEL NKU, the on-campus food pantry for students, is about to get much, much bigger. NKU and Kroger are partnering to expand the FUEL NKU pantry to over seven times its current size as part of an initiative to fight student hunger. The current pantry, located in a 300 square-foot mailroom in University Center 142, will move to a 2,300-square foot space in Albright Health Center by 2020. Construction is expected to begin late in the fall semester and could be completed by early 2020. Social Work Professor Dr. Jessica Averitt Taylor started FUEL NKU in 2013, and over 650 students used the pantry in 2016. For now, FUEL NKU is located in UC 142 and is open 10 a.m. to 2 p.m. Monday-Thursday. A recent cross-promotion with NKU Parking Services allowed students to pay off outstanding tickets with jars of peanut butter.